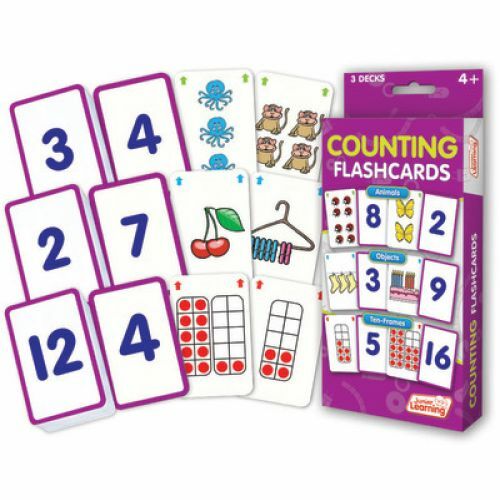 This value pack of flashcards includes 3 decks of 54 cards for teaching counting. Covers animals, objects and ten-frames. Visual arrays are provided to help children see mathematical relationships. Teaches fast, automatic recall. A perfect activity for independent or guided learning. Contains: 3 flashcard decks, 162 cards in total. Cards also work with the Flashbot, sold separately.